It has finally been confirmed, folks! Samsung has formally announced that the successor to the wildly popular Galaxy S II will be unveiled at a dedicated non-MWC event in the first half of this year, close to its launch. Details after the jump! The news comes from TechRadar – a blog dedicated to covering all the latest and greatest from the world of tech – in the form of a short post in which they discuss Samsung’s press statement and what to expect from the heavily anticipated device. This means, unlike what we’ve hearing all this time, there won’t be a Galaxy S III announcement at Mobile World Congress, which will be held later this month. Still, Samsung will be there to announce “new mobile products”. We have no idea what these products will be, but one thing is for sure: it won’t be a flagship, top-of-the-line smartphone. TechRadar suggests that the decision to unveil the Galaxy S III “closer to commercial availability of the product” is either due to some manufacturing issues for the device or because the company is looking to directly rival the iPhone 5, which is expected to be announced and launched in July*. 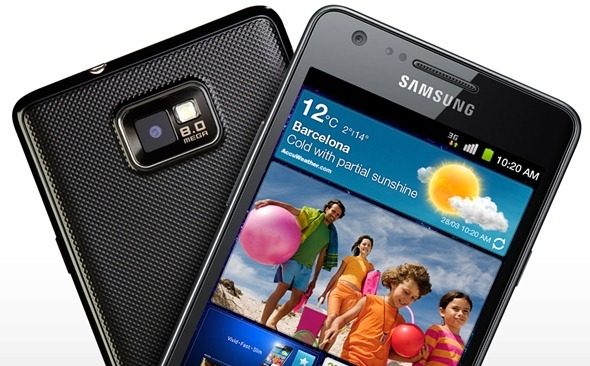 The Samsung Galaxy S III will pack a quad-core chip and a 720p Super AMOLED HD display in order to compete with NVIDIA’s Tegra 3 chips and, of course, the HD-ready displays that devices like the Galaxy Note, HTC Rezound and Galaxy Nexus sport. I don’t know about you, but after getting a good taste of Android Gingerbread (and soon, Ice Cream Sandwich), this writer will be getting himself an iPhone 5 later this year. Android is pretty flexible, but it has lots of little annoyances, which we will discuss in another article. *Apple might decide to announce/launch the iPhone 5 in October though, considering how the iPhone 4S was announced last October.